SRN is an initiative set to revolutionise access to all the communities across South Africa. Encompassing a full turn around solution, clients are able to gain access to all mediums across the country. We ensure our clients’ campaigns are relevant and professionally run across our network. With our 360 degree approach, we offer the most cost effective national coverage available from a one point of contact. To honour our commitment and act with responsibility in all our relationships. We will always do what’s right for our clients. This is seen though our passion, honesty, professionalism, advocacy and willingness to be forthcoming. We anticipate change and create solutions for our clients. Consistent growth, adaptability and relevance, SRN is always looking for proactive ways to best meet the needs of our clients. We are continuously moving forward and improving. We dare to challenge and evolve. Community is at the heart of our business. We believe in giving back through the charitable contribution of our time, resources and expertise. SRN is a link between advertisers and the South African market. We aim to add value to our client’s product by the dedicated enhancement of professionalism within the advertising community. SRN ensures you have maximum exposure for your brand across the right channels, influencing all the communities across South Africa. Having worked closely with the team at Student Radio Network for the past four years, I can, with great confidence, say that they are one of the best-placed network of specialist radio broadcasters I have had the opportunity of partnering with in reaching the overly-­stimulated and difficult-to-engage student market. Co-existing with the student audience in their very ecosystem, coupled with their commitment to understanding the student experience, allows Student Radio Network the rare ability to engage this segment of the market in language they understand, with content they connect with and in a way that honours millennial aspirations and breaks through the noise of everyday student life. We have been working with Student Radio Network for the past two years and have always been completely satisfied with their performance. They do an excellent job, are always punctual with running of all material, offer competitive rates and always send us material afterwards. They are professional and respectful as a business. 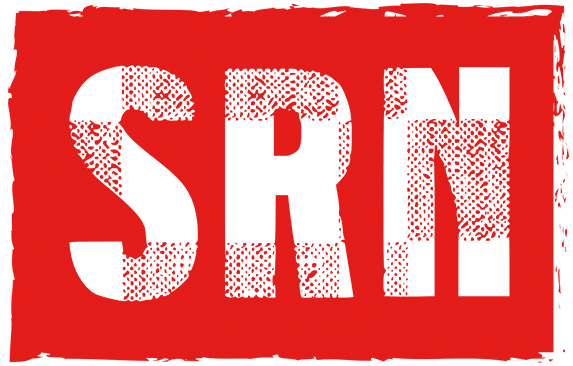 SRN has been a trusted and professional partner for many years, and they have over-delivered on more than one occasion with regards to concept, price and campaign management. They have always met very tight deadlines with professionalism and passion. SRN have also been more than willing to give insightful student presentations to clients, who have been pleasantly informed and surprised. It is without hesitation that we recommend Student Radio Network for all youth radio, out of home as well as social media purposes.